The School organised a Special Assembly to release its Mission Statement highlighting the goals that the school aims to achieve by the year 2020. 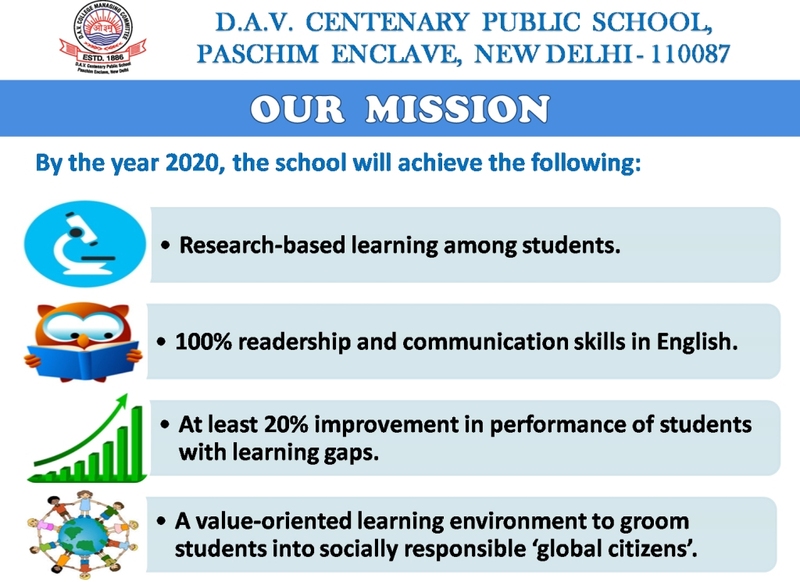 School’s Mission is to promote Research Based Learning among students, 100% readership and communication skills in English, work for at least 20% improvement in performance of students with learning gaps and provide a value oriented learning environment to groom students into socially responsible ‘global citizens’. Ms. Manju Malik, Principal of the school motivated the teachers and the students to join hands to make this mission successful.